Sweat Shop Brew Kitchen, located in Auckland, New Zealand, is an examples of spaces that seamlessly integrate a family-oriented dining space with aspects of a late night venue. 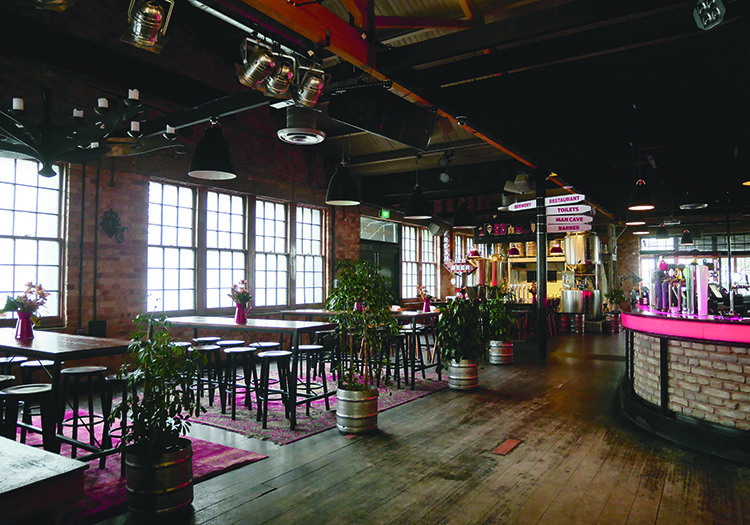 Such transformative qualities are thanks to the work of Edwards Sound Systems in NZ, which provided a suitable and flexible audio solution for both outlets. Jamie Cashmore and Jonathan Hardie Neil of Edwards recently selected D.A.S Audio products for these two installations. 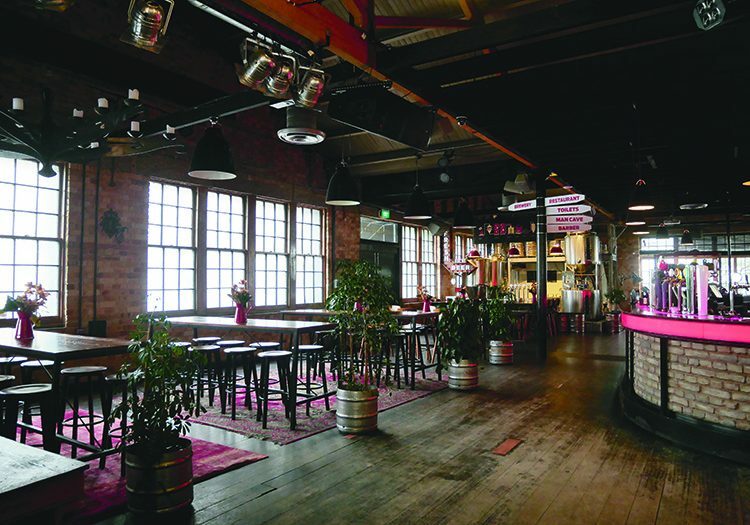 Located on Sale 7 St, Freeman’s Bay, Auckland, you’ll find Sweat Shop Brew Kitchen, a truly multipurpose space that operates as a bar by day and nightclub at night, with Friday and Saturday nights in particular bringing up to 400-500 customers to watch their in-house live band. We aimed to select a product that matched the venue’s chameleon-like transition from restaurant to nightclub. D.A.S. Audio’s Convert Series was deemed more than fitting for the job, as Jamie explained: “The system is versatile, playing background music throughout the week, right through to the system really coming alive on a Friday night when the bar hosts live music.” Just a single pair of Convert 1590RAs are suspended from the ceiling, which is enough to cover the entire venue. Jamie continued: “The boxes offer very even sound distribution, so that even those towards the back of the bar are fully immersed within the band performance.” Two D.A.S. Audio SX-218A subwoofers complement the top boxes and extend the low frequency range of the system. The house band at Sweat Shop has actually made a name for itself, becoming quite famous in New Zealand. And, as there are not so many mid-sized venues in the city playing live music weekly, Sweat Shop definitely attracts the crowds.